"It's up to us to protect our home… Sometimes you gotta face your fear to get to the other side." A few days ago, we featured the new theatrical trailer for Pixar's The Good Dinosaur, and now we have another one with even more footage. This trailer is the Australian version and features lots of new footage in the first half, presenting the entire story with the correct narrative in the film - starting with his family, then his adventure after the storm, meeting Spot, and eventually the T-Rexes. It's essentially a story about a boy and his dog, except the "dog" in this case is the human, and Arlo the apatosaurus is the "boy". It looks fantastic. 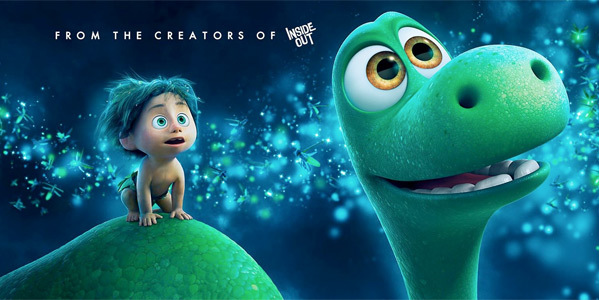 You can also watch the latest full-length US trailer for Pixar's The Good Dinosaur here, for comparison.